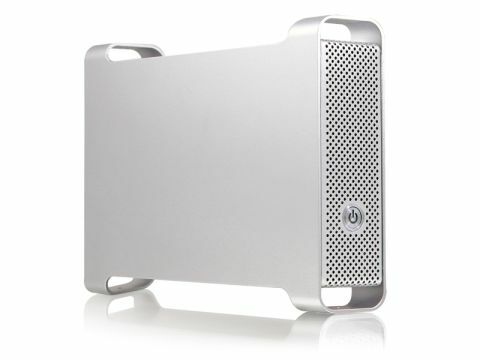 The Macally Hi-Speed might not be the cheapest 3.5-inch SATA drive enclosure, but it is pretty, looking like a mini Mac Pro. Fitting a SATA drive is easy, but requires some disassembly and isn't ideal for regular drive swapping. It's got an excellent range of connectivity options, offering USB, eSATA and FireWire 400. You can daisy-chain FireWire peripherals, so this option is available even if you don't have spare ports. Also included is a backup app, but bizarrely for a device that looks like a Mac, it's PC-only.